Just before 14:00hrs Truck 21 (Merchant) was sent to the 200 block of Brand Ln. for a reported outside fire which had been extinguished. Upon arrival personnel were advised by business owners of the fire having been inside the business but that it was believed to be out. While making entry with nothing found, that soon changed to heavy smoke to the floor once personnel made it to a rear range bay area. 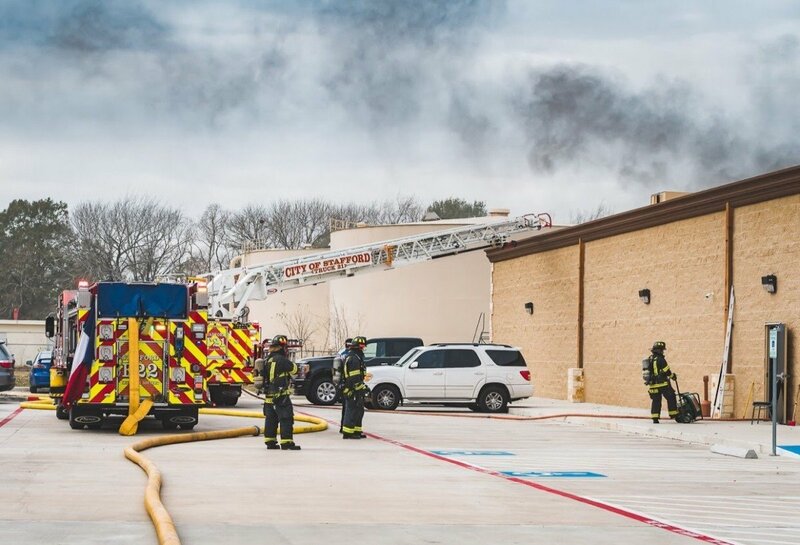 With the incident upgraded to a box Truck 21 stretched a 200′ pre-connect inside and located the fire while Engine 22 established a water supply and command was transferred to Battalion 21. With the fire located in an area of rubber chip material a quick knock down was achieved and no extension found. During the incident Tower 22 was assigned the roof and Engine 23 and Ladder 31 also operated on the fire ground. 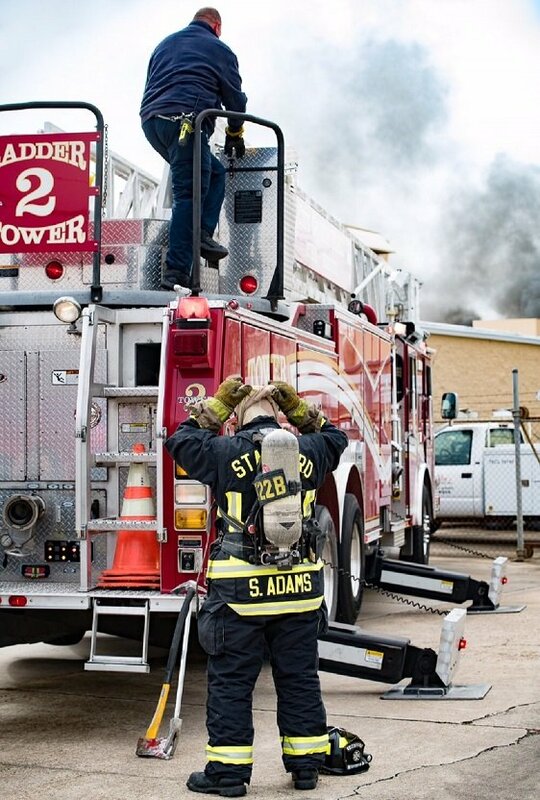 Upon completion of ventilation and salvage operations all units returned to service. The cause of the fire is under investigation by the Stafford Fire Marshal’s Office.